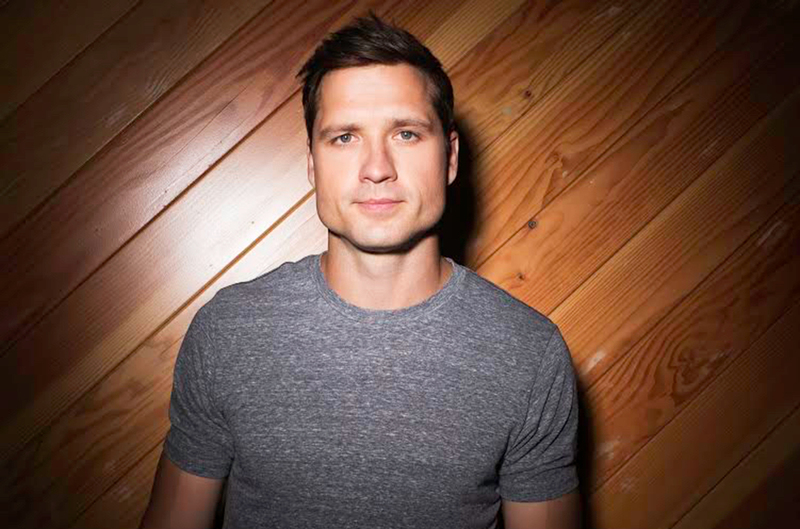 Interview: Walker Hayes opens up about his personal stories on his debut album boom! 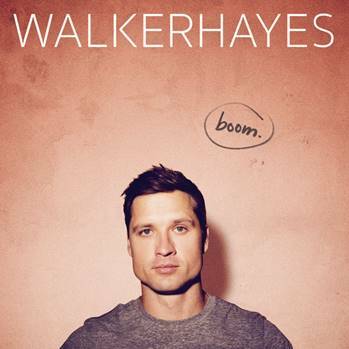 Walker Hayes is one of Country musics daring and freshest artist causing quite the ‘marmite’ divide with his album boom! Walkers sound is an exciting one and lyrically, he is brutally honest sharing some very personal obstacles he has faced over the years. Walker will be joining the very high profiled line up at London’s C2C Festival next year which we cannot wait for. Walker will bring an upbeat, fun set to the festival and will no doubt gain a lot of attention. We spoke to Walker just days before the release of boom! 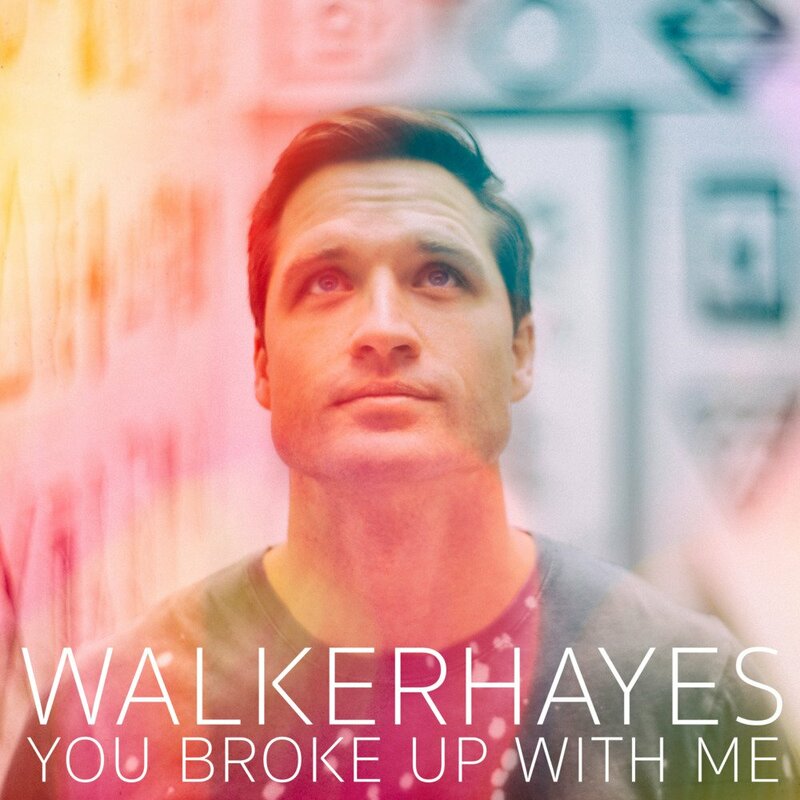 Walker was an absolute delight to speak with and shared some very personal stories with us that his album surrounds. Hey Walker, how are you? How has your week been leading up to the release week of Boom? It’s incredible. I have been so busy, it’s tough to just sit for a moment and just think, ‘Wow, my album is coming out’. I have been in the music biz for 13 years now and I have never held an album of my own in my hands, so you can imagine – I don’t know, it is surreal to just embrace and digest what is going on this week. I have heard the album and love it! How have the advance reviews been so far? You know what, the common thing I hear is the vulnerability and the honesty is to a shockingly pleasing level. It’s interesting to me because I have always felt that is what an artist is supposed to tell; the truth. I love that that is the reaction. I think stylistically it’s unique and for some people it will take a listen or two to understand the artist they are listening to, but it has just been so well received, I can’t believe it. I don’t even like to call a lot of these ‘songs’, they are journal entries that happen to rhyme. They were not written as if to say ‘Hey, look how poetic and artistic I can be.’ A lot of them are just moments where I want to tell you how things happened. It’s been awesome; I have loved hearing people’s reactions. As we were just saying, it is quite a different sound. The songs are really quite different to what we hear in Country music, in a good way. Did you have any doubts about people understanding your sound before putting any of it out? Oh yeah! People can be harsh. Change, for me, is very difficult. If I go to my favourite restaurant and my favourite item is there, but they have changed it a little bit, I am going to be a bit frustrated. I definitely feared it. What you hope is that most people at least give it a chance. If there is one thing we can say about my album is that it is true; no one can listen to it and go ‘Oh, this guy is being a poser, or he is lying.’ I am who I am, and that is what the album is. If you don’t love it, of course I will be disappointed – but you’re going to get that, and somebody told me a long time ago that if everybody loves you, somebody’s lying. That is the greatest truth – not everybody is going to love what you paint, draw, write or sing; all you have to do is be yourself and be proud of what you have done. I surely am with this project. How boring the world would be if we all liked the same thing. Oh, I know. It would be a boring world. As I said, I love the album – it blends two of my favourite genres, Country music and nineties hip hop. I love that, yes, I love that – and that’s exactly where I came from. You have good ears, because I did not grow up listening to a lot of ‘old school’ Country – my level of expertise probably starts at Willie Nelson, maybe David Allen Coe, but I listened to a lot of 90’s rock and a lot of hip hop. Tell us the story behind Shut Up Kenny – it is in reference to Kenny Chesney, but not in a negative way as people may think from the title. That song came about in an interesting way. My wife and I dated from 11th grade on. There was one year we took off from college and that’s what the song Beautiful is about. One night, we were in a fight; we were in the car and we were both being very stubborn and quiet and then I turned on the radio and a song of Kenny’s called Anything But Mine came on. When I hear that, it makes me think of the year that we moved to Nashville with a lot of happy memories like baking cookies, carving pumpkins, all the little things that we did in our tiny apartment. When I heard the song that night I was like “Shut Up Kenny” because I wanted to continue being pissed, haha. I did not want to think of happy stuff because it kinda hurt, so I changed the station and the same song was on another radio station. I just kinda collected my thoughts and in the next couple of days, I had a writing appointment so I told them about that experience and how I just wanted to write a song that was honest, about how sometimes you don’t want to hear a song – but you do. It’s such a complex emotion; you don’t want to listen to certain songs at certain times, because they make you replay those feelings that probably aren’t the healthiest feelings to sit through – but you keep pressing rewind for some reason. It’s a very common emotion, and so we wanted to just talk about that – and at the same time it was an easy way to be honest and admit that I loved Kenny Chesney’s music so much, but sometimes it hurts. Earlier you said to me that you have been in the industry for 13 years. I read that you have had a bit of an up and down career where you had success, lost it, and have found it again now. Could you tell us a little bit about that, and if you think it has made you stronger as an artist – and as a songwriter? Yeah, I feel like you hear that in this music, without a doubt. I feel like it’s obvious when you listen to my album that this guy didn’t just show up in Nashville and blow up. A lot of what my struggles and ups and downs provided me with, is a healthy perspective on what really matters, why I really do what I do and what in life is worth your time. What I have learned, that I can hear personally when I listen to this project is, that I didn’t waste my time aiming for anything. I spent my time expressing myself and telling the truth and doing it in as honest a way as I can now. I hope only to become more and more in tune with who I am and even more honest on album two. What I have been through and what my wife and I went through, has strengthened us, as there is, I feel, strength in my music. You can hate me all you want for being different but if you really sit down and listen to a couple of songs, you’re gonna feel something if you just give it a chance. Your single You Broke Up With Me kind of touches on that a bit – a bit of a hidden meaning? Yeah, there is a little hidden meaning. Even if people don’t know about that hidden meaning, I feel that they are emotionally relating to that feeling and the “I’m doing fine without you” meaning. Yes, that is a kind of expression from my heart to some fair weather friends; the type of people who show up when things are going great, but when things are going bad, it’s really tough to get them to respond and to associate with you. When we started making this project, a lot of people came out of the woodwork; it was overwhelming how much my phone would ring with people saying ‘Hey, you wanna grab some coffee?’ and I was like ‘Man, where were you guys five years ago?’ So that is what You Broke Up With Me Is about. You put on facebook that Beer In The Fridge is very personal to you? Well I was a heavy, heavy, embarrassingly heavy, drinker two years ago. I just became two year’s sober in October and it is just something I wanted to get off my chest, and the more I sing about it or talk about it, helps to kind of hold me accountable to this new way of life. I leaned on drinking to escape the pressure of life – and most definitely my insecurities being a musician who wasn’t really getting a great response. It was definitely easier to walk into work every day drunk like that. One day I quit and it has been a struggle since; you can substitute healthier things, fill that void that you were filling drinking, but the reason you were drinking is still there. So I feel like I am always working on a song trying to show what I am going through as far as that struggle is concerned – and yeah, Beer In The Fridge – that beer exists. It was in the basement of where I write and a friend of mine actually noticed it about two weeks after I quit drinking. He was like “Man, that is just so weird. I am proud of you, but it is also a little eerie, just to see that beer in the fridge, after knowing you would rarely leave that there.” So that’s where the idea came from and all those emotions are real – it’s a very honest and vulnerable song. Well thank you so much for sharing that with me, I appreciate it. I love the song Your Girlfriend Does, and wanted to know why it didn’t make the album? Haha, you know that is a true story, too – to my haters, because I have them -and I wrote it with some boys from Old Dominion. We had a blast, we had so much fun writing that song and you know the reason I didn’t personally want it on the album is because I guess maybe the novelty, the nature of the song – it will always be there and there will be a time when the 8 track EP’s that I put out will return. Yeah, they will be back, and I just thought that there are other themes to me that are important for this first album. Not to demean that song, I love that song just as much as you and my fans. I actually perform that one acoustically; everyone sings along – it’s a great live moment. You are coming to the UK for C2C, which is very exciting – how did that come to be? You know from what I have heard about listeners in the UK, well they’re a lot like me – they dig a little deeper. There is an appreciation for music that I think we share and I am a songwriter at heart which I also know is appreciated. I have no intention of only being an artist who is here in the States; I want to share my music wherever I can and I want to experience playing in new places – and I have the opportunity, so why not? I absolutely love the track Halloween – and Beckett, too. Oh, right on, I am so glad you love those. I honestly can’t pick a favourite off the album, they all are personal. Beckett is my son and he is now six years old. Halloween – to me, I don’t know if I will ever write a love song to my wife that will be more true than that. I appreciate that. Like I said earlier, Halloween in particular takes me back to my days of listening to 90’s hip hop and R&B. I love Nicolle Galyon’s voice on that, tell me more about her. We tried really hard to make more publicity by getting a well known female on it, but I just couldn’t replace her voice and her vibe and the energy. We wrote that song together in my shack and she cut the vocal right there the day we wrote it, and I did the same thing. It was hard to replace just the raw emotion of that song, so we just kept it. Good – and I love that, because her voice is amazing and I am definitely going to be looking up her music now because of that song. Oh she’s phenomenal. She is the equivalent of Shane (McAnally) in my book, as a writer. Well, thank you so much for talking to me today. I am so excited to see you at C2C as I have been listening to you since 8 tracks came out. Oh, right on. I can tell, if you know Your Girlfriend Does, then you have been around a while. I hope we get to meet, see you in March.